My name is Celeste Hackett and I practice hypnosis in Dallas, Texas. Contact me by telephone at 972-673-0110. Subconscious mental emotional causes for health problems like fibromyalgia, arthritis, headaches, IBS and more. Hypnosis Training received at: Banyan Hypnosis Training and Services, plus continuing education with many others. How were you first drawn to a career in hypnosis? I wanted to do something to help people, in short. There is an extensive interview on me on this website (click on the "interviews" in the left column of this page to read the full interview). You can also Google: Celeste Hackett, Hypnosis to find learn more about me. What do you enjoy about being a hypnotist? Seeing the "before" and "after" with clients. Human beings are drawn to processes and the process of changing as a human being is a fascinating thing to witness! Have you experienced any other personal benefits from using hypnosis for yourself that you would care to share with our readers? I have overcome physical pain, chronic fatigue, lack of self-confidence and more. What issues do your clients typically come to you for help with in your hypnosis practice? All of those listed above. In addition, I see clients who want to be happier in relationships or want to attract a partner. I also get a fair amount of people who want to be more successful in their fields. We work on subconscious blocks to success with, well, a great deal of success. Do you specialize in helping people with certain issues in particular? Yes, anyone who isn't feeling what they'd like to feel or doing what they'd like to do. That covers about everything if you think of it! What is the most frequent misunderstanding about hypnosis that you encounter with clients or the public? That you will be unconscious, that you won't remember what happened, and that only certain people can be hypnotized. Hypnosis as a healing and helping modality has existed for hundreds of years now. However, it is more widely known and more accepted in some areas more than others. 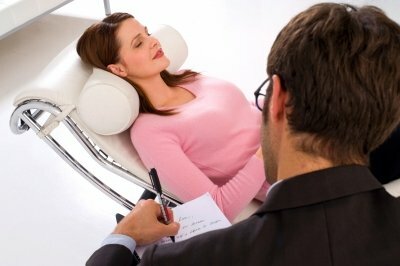 How would you rate the public acceptance of hypnosis/hypnotherapy in your region? People in Dallas love hypnosis. They are very open to it. Do you have any words of advice to potential clients? Your answers are within. Actually if you meditate every day for a 1/2 hour in the morning and 1/2 hour in the evening every day asking deeply, from your heart of your inner self to guide you to a solution, you eventually will get the answers you want. We just don't know how long it will take, so hypnosis is faster! Is there anything else that you would like to expand upon or add that we have not covered? Yes, in most cases your issue will be resolved in 5 sessions. Isn't that great? It's fun when you do this work and have the last session end on your birthday, or just before Christmas as a gift to yourself. I had one lady who wanted to get over anger at her husband and she did her final session before their anniversary. That was so beautiful! Join in and write your own page! It's easy to do. How? 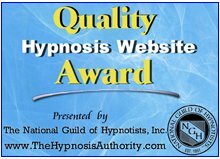 Simply click here to return to International Hypnotists Directory.